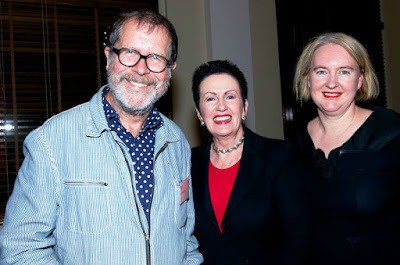 Sydney's esteemed Lord Mayor Clover Moore held a small shindig last week to farewell Town Hall worker Rachel Healy who is leaving to join theatre director Neil Armfield (actor Geoffrey Rush's best pal) to work on the Adelaide Festival with Armfield. Left pictured are Armfield, Lord Mayor Clover Moor and Rachel. 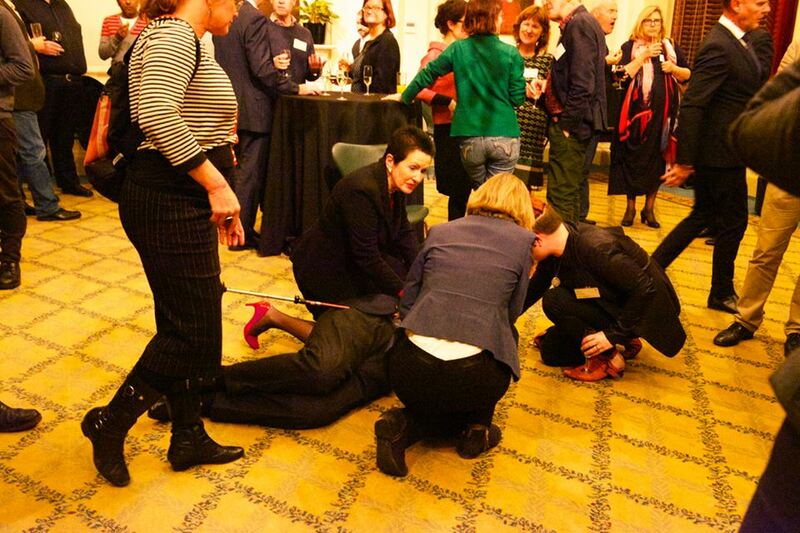 Alas proceedings were drawn to a sudden halt when a party guest went crashing down in a faint perhaps overcome by the excitement of it all. Leaping into action Clover was by the side of the prone body in seconds and soon administering a cool clothe to the brow of the hapless guest. 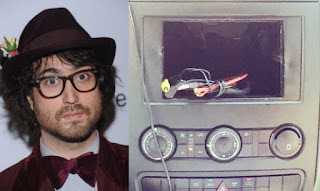 Below is a snap of all the drama taken by noted Sydney photographer and chronicler of this town's society, William Yang. Australian cultural icon Dame Edna Everage has sent Whispers a doctored snap she also sent to Sir Ian McKellan for his 76th birthday. 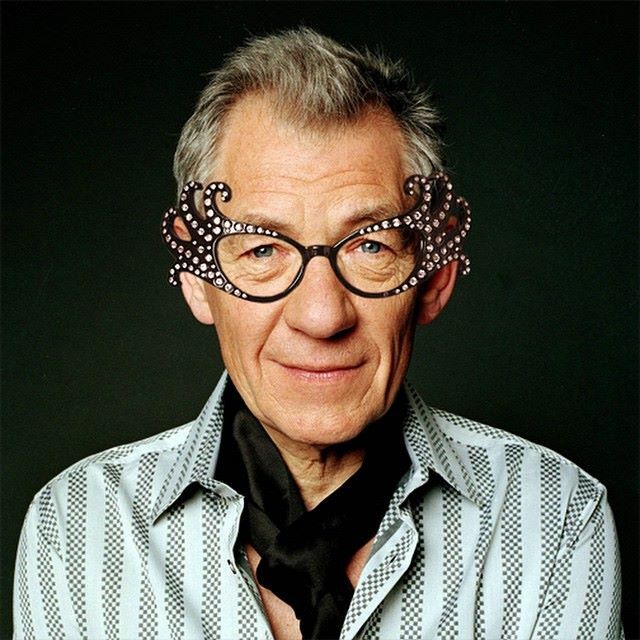 McKellan was so taken with it he is now using as his profile pic on Facebook. Meanwhile Dame Edna's manager Barry Humphries has been interviewed in The Guardian in his capacity as director of the Adelaide Festival with some comments to make about the noted Australian diplomat Sir Les Patterson pictured below next to Humphries. And a Tale of Woe : singer and musician Sean Lennon currently on tour in the UK has posted a snap (right) on his Facebook page of the empty spot in his band's van where their radio was stolen a few days ago in Shepherd's Bush while they were performing. At last estimate his mum Yoko Ono was worth a cool $500M.